LAS VEGAS — As the consumer electronics industry attempts to hit on the next big thing to replace smartphones and TVs, it’s increasingly focusing on health and fitness. On the showroom floor and at related CES events, you can find a bewildering array of devices and technologies designed to cater to these areas. Although fitness products aren’t a new category — Fitbit has been around for years after all — such products are quickly evolving beyond simple fitness bands. I met with three different companies with interesting health-related products on Thursday. All three are trying to capitalize on new technologies and trends to get a piece of the giant health market. … TytoCare’s new device feels like it comes straight out of science fiction. The Israeli startup has developed something that’s reminiscent of the medical tricorder from Star Trek. The company’s TytoHome device can serve as a stethoscope, thermometer and otoscope, the device a doctor uses to examine your ears or throat. It has a high-resolution camera that can be used to record pictures and video of your mouth and throat; microphones that can listen to your heart and lungs; and an infrared sensor that can read the temperature of your forehead without having to place something under your tongue. TytoHome collects data from all those sensors and can transfer it to your doctor via a smartphone app. TytoHome — and the related TytoPro, targeted at health care professionals — is designed to be used by people other than doctors. A display on the scanner — which is mirrored in the smartphone app — directs users where to point the camera or place the microphone. By allowing consumers to perform exams at home or a school nurse to do such an exam in a clinic, the device might be able to save a trip to the doctor or hospital, potentially saving time and money. 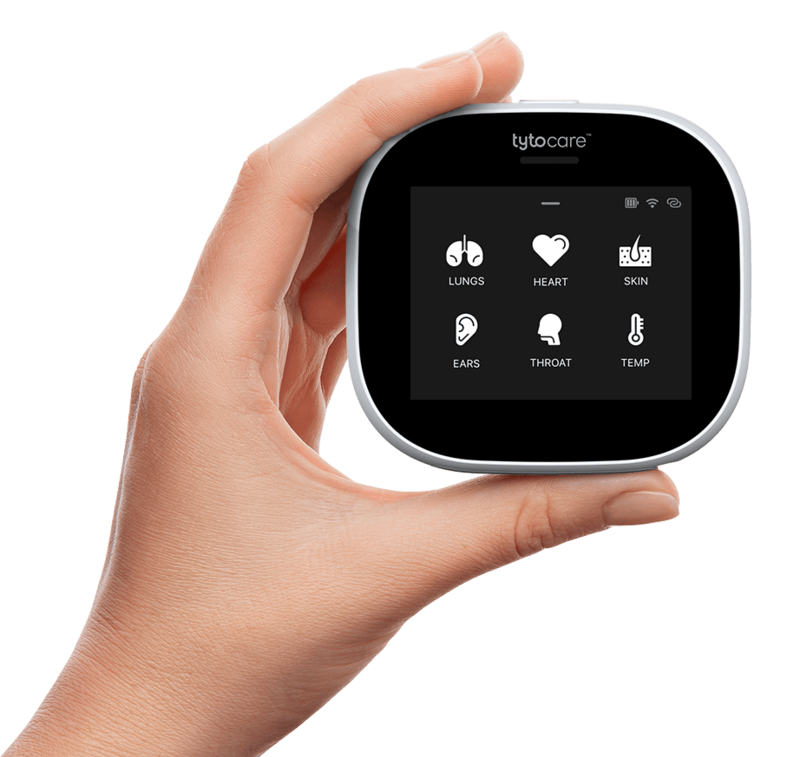 TytoCare, which got FDA approval for the device in November, plans to market it to consumers, employers and health care providers; the consumer version, which you can pre-order now, costs $299. TytoCare’s new device feels like it comes straight out of science fiction. The Israeli startup has developed something that’s reminiscent of the medical tricorder from Star Trek. The company’s TytoHome device can serve as a stethoscope, thermometer and otoscope, the device a doctor uses to examine your ears or throat. It has a high-resolution camera that can be used to record pictures and video of your mouth and throat; microphones that can listen to your heart and lungs; and an infrared sensor that can read the temperature of your forehead without having to place something under your tongue. TytoHome collects data from all those sensors and can transfer it to your doctor via a smartphone app.